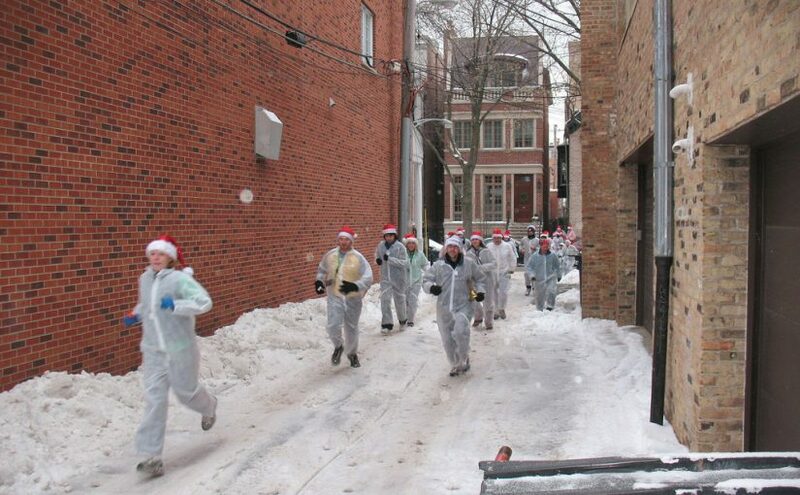 Wednesday, December 25, 2002, 8:45 a.m.
CHICAGO (AP) — Authorities closed a five-square-block area of the city’s North Side as well as the Lincoln Park Zoo Tuesday after the discovery of a suspicious substance outside the zoo that turned out to be harmless white powder marking a running course. Streets were blocked off. Several entrances and exits to Lake Shore Drive, one of the principal highways in the city, were closed. The zoo, which is normally open every day of the year, was soon closed. The public was warned by authorities to stay away. “It’s a completely inert substance,” Joyce said at a news conference. “It’s scattered over a three- or four-block area.” Members of a running club had used the powder to paint arrows to show the runners where to go, he said. Wind blew the markings so that they no longer looked like arrows, and a Chicago Park District worker alerted authorities. Fire Chief Dennis Gault said authorities secured the area and prevented people in the zoo from coming into contact with the substance. Zoo officials did not immediately return calls from The Associated Press, but a reporter who tried to enter the zoo discovered it was closed hours early. Tuesday’s scare began shortly after 9 a.m. and was not resolved until about 1:20 p.m.
Eric Dawoudi, 26, a DePaul University student whose apartment overlooks a zoo entrance, said he heard on the radio that the substance was harmless.